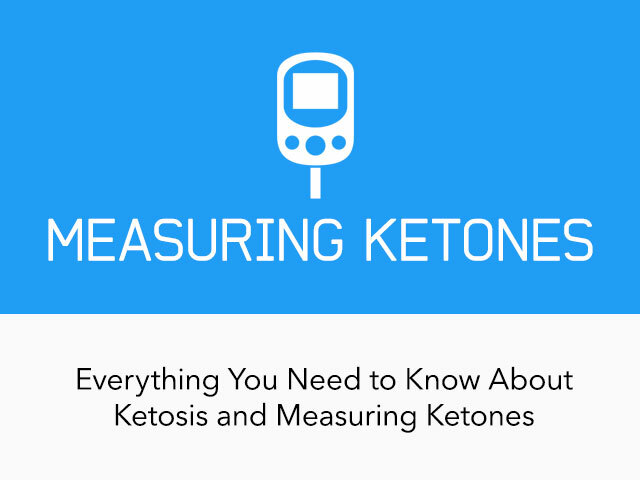 Following my recent post about carbohydrates, I've put together what I consider to be the most important facts about ketosis and measuring ketone bodies. Ketosis is a state at which your body produces ketones in the liver, shifting the body's metabolism away from glucose and towards fat utilisation. The presence of ketones in your body, which is indicative of lipolysis, is a definite proof of ketosis. 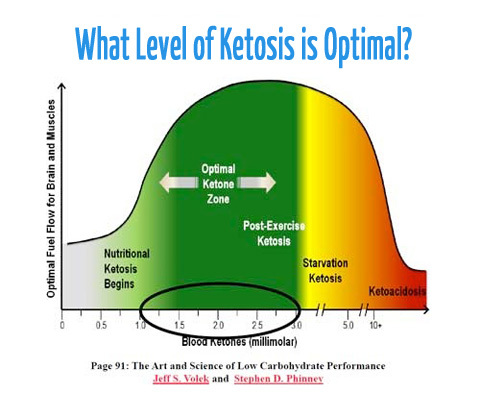 According to Volek and Phinney in their best-selling book "The Art and Science of Low-Carbohydrate Living", nutritional ketosis is defined by serum ketones ranging from 0.5 to 3.0 mM. The frequently asked question is whether ketosis is dangerous. Ketosis is not only a great weight loss tool, but it has been used for treating diseases such as epilepsy, Alzheimer's or cancer. You can check out my post here to see more about health effects of ketogenic diets with links to relevant research. While nutritional ketosis is perfectly safe, ketoacidosis is an indicator of serious health problems. Ketoacidosis occurs in serious health conditions such as type 1 and type 2 diabetics and alcoholics and has nothing to do with nutritional ketosis. The level of ketones in ketoacidosis are 3-5 times higher than in ketosis resulting from a ketogenic diet. It's the most accurate way to measure ketone bodies, beta-hydroxybutryate (BHB, although not technically a ketone body). The level of BHB in your bloodstream will tell you how much you have in your fuel tank but it will not measure the metabolic usage of ketones. Typically, this happens when you just started following the ketogenic diet and are not yet fully keto-adapted. Blood ketone meters can precisely determine the level of ketones in your blood but they are also pricey. To give you an idea, the meter itself is about $40 and the test strips cost $5 each. If you want to test yourself daily, it will cost you $150 per month plus the cost of the meter. I don't know about you but I'd rather spend it on quality food or a gym membership. On the other hand, if you are on the Restricted Ketogenic Dietand numbers matter to you, a blood ketone meter may be the best and only option you have. 2) Breath testing - "Breathalyzer"
According to Volek and Phinney in The Art and Science of Low-Carbohydrate Living (chapter 13, Ketones - To Measure or Not), a non-invasive and cheap alternative is to measure breath acetone concentration. Acetone is one of the ketone bodies that results from a break down of acetoacetate. The level of acetone will reflect the metabolic usage of ketones. The Ketonix Acetone Breathalyzer is available and offers an easy and inexpensive way to test your breath ketones (acetone). Keep in mind that breath ketones do not always exactly correlate with blood ketones and are affected by several factors (alcohol consumption and water intake). You can find my review of the breathalyzer here. Ketostix, Uriscan and other urine detection strips are not as accurate. They only measure the level of acetoacetate - excess ketone bodies that are not utilised by the body and are excreted via urine. Urine ketone strips can still be useful during the initial phase of the ketogenic diet when you simply want to test the level of carbohydrates in order to enter ketosis. Some people use them to test if they are sensitive to certain foods that may be keto-friendly but still have a negative effect on their progress. They are easy to use and fairly cheap. You'll pay about $10 for 50 strips, that's $6 a month if you test yourself daily. If urine detection strips don't work for you, use one of the other two methods. Listening to your body's signals is another way of finding out whether you are in ketosis. When your body is in ketosis, you may smell of acetone. This could be sensed in your breath, sweat or urine. Some people refer to this as ketogenic "fruity" smelling breath. If you detect any of these signs, you are more than likely in ketosis. Ketostix don't measure all types of ketones produced by your body. Although there are 3 types of ketones (acetone, acetoacetate and beta-hydroxybutyrate), they only measure acetoacetate. Depending on how long you have been in ketosis, your body produces different types and amounts of ketones and you may not be able to detect acetoacetate when keto-adapted. For more details, check out this post at Ketopia.com. As you become keto-adapted (3-4 weeks), you will excrete less ketone bodiesvia urine. This means that you may show high blood ketones and low or none urine ketones. Also, changes in hydration affect the concentration of ketones. A high water intake may dilute the concentration of ketones in the urine. Because it's important to stay hydrated, you will likely see lower readings. More Ketones, More Fat Loss? Most people believe that in order to lose as much fat as possible, they need to restrict their carbs intake as much as they can. I've already explained the main effects of a low-carb, ketogenic diet. Currently, it's not clear what the full effect of such carbs restriction is. Some diet authors, including Atkins himself, supported the idea that more ketones equals more weight loss. The reasoning they gave was that ketones are, in fact, calories which are made from the breakdown of fat in the liver. Is that really a valid reason? Although some fat loss may appear as a result of a potential "metabolic advantage" (more ketones / calories excrete), the most important factor for fat loss is natural appetite control. While urinary ketone excretion means that body fat is being excreted causing fat loss, the effect is minimal: Based on recent studies, the number of calories lost in the urine as ketones is not significant (100 kcal at most). Anecdotally, higher levels of ketones may actually slow down fat loss. Individuals who maintain lower ketone levels (trace ketones) appear to lose fat more efficiently. Why does that happen? One explanation may be that high levels of ketones in the bloodstream may slightly raise insulin and block the release of free fatty acids from fat cells. Also, when becoming keto-adapted, some individuals tolerate relatively greater carbohydrate intakes without disrupting ketosis. It's up to you to find your optimal carbs intake. As I've explained above, more ketones won't help you burn significantly more calories - no studies show such effects. As long as you stay in nutritional ketosis (0.5 to 3.0 mM), moderate amounts of carbohydrates can be added to your diet. If you want to know more about ketone levels and their effect on fat loss, have a look at this post: Do Ketones Matter? 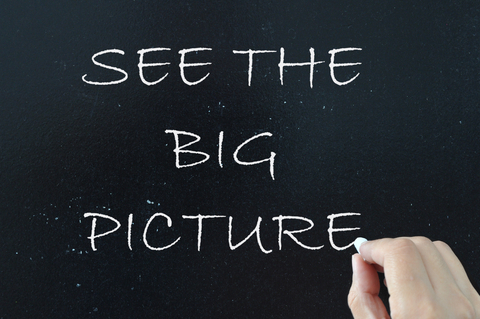 Recently, I've noticed a growing obsession when it comes to measuring ketones precisely. 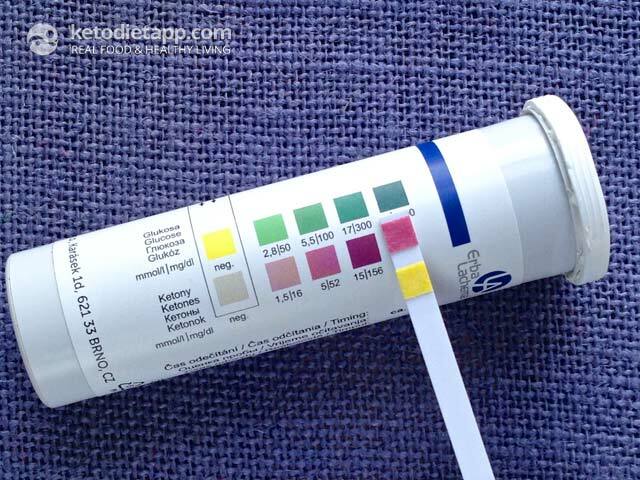 Although urine detection strips may not be accurate for keto-adapted people, they work for most of those that have just started the ketogenic diet. By the time they become keto-adapted, which takes 3-4 weeks, most of them understand what to eat and what to avoid without any real need to measure the precise level of ketone bodies. I've been in nutritional ketosis on and off for almost two years and can't really complain about urine strips. I don't personally need to track exact numbers because it won't make a difference to me. When I started, I used Ketostix to find out when I was in ketosis and what my net carbs limit should be. These days, my daily net carbs intake varies from 30 to 60 grams depending on how active I am. My advice is that you should give Ketostix a try. 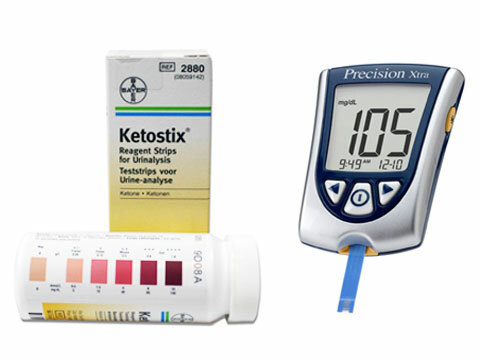 If you need to keep track of your ketone levels, use a blood ketone meter or the breathalyser. In the end, what really matters is not ketones but the effects of low-carb diets: weight loss and improved health. Generally, ketone concentrations are lower in the morning and higher in the evening. Whatever time you pick to measure ketone levels, make sure to keep it consistent. Also, do not measure your ketone levels right after exercise. Ketone levels tend to be lower while your glucose levels higher so you won't get representative numbers. Keep in mind there are daily fluctuations caused by changes in hormone levels. Don't get discouraged! Another aspect that affects the level of ketones is the amount of fat in your diet. Some of you may show higher concentration of ketones after a high-fat meal. Coconut oil contains MCTs that will help you boost ketones. To easily increase your fat intake on a ketogenic diet, try fat bombs - snacks with at least 80% fat content. Ketone levels tend to be higher after extensive aerobic exercise as your body depletes glycogen stores. Exercise may help you get into ketosis faster. ketogenic "fruity" breath is not pleasant for most people. To avoid this, drink a lot of water, mint tea and make sure you eat foods rich in electrolytes. Avoid too many chewing gums and mints, as it may put you out of ketosis; there may be hidden carbs affecting your blood sugar. Increase your electrolyte intake, especially potassium. You are likely going to lose some sodium and potassium when switching to the keto diet. 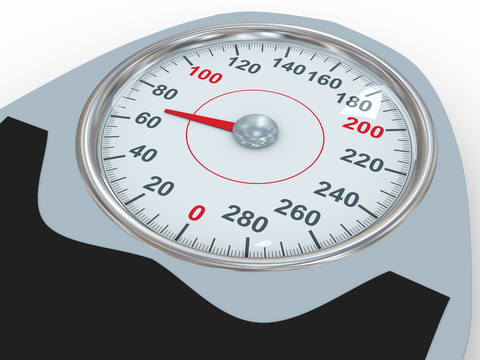 Finally, if you find it hard to lose weight on a ketogenic diet, there may be plenty other reasons than the level of ketone bodies: Not Losing Weight on Low-Carb Ketogenic Diet? Don’t Give Up and Read Further.